Meet DJ. 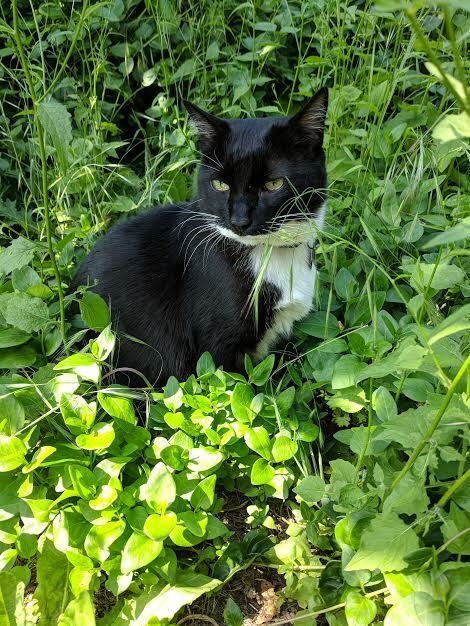 A 9 year old tuxedo with personality, charm, and lots of love. In addition to being very handsome, DJ is a healthy, playful guy who loves interaction and his laser pointer! 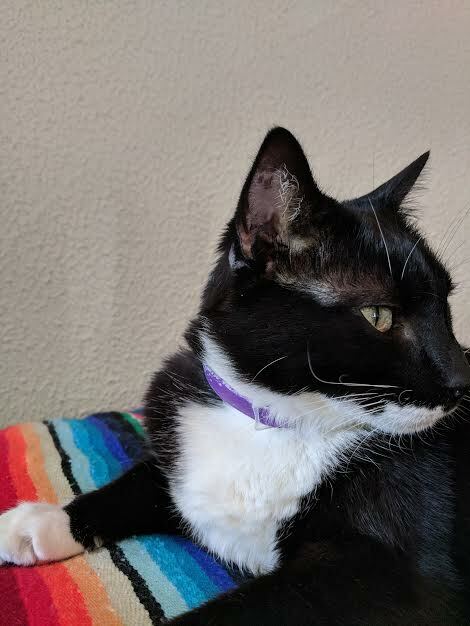 He would love to have a younger male buddy around to play with or a very attentive owner who kept him on his white-dipped toes. He is affectionate and sweet and loves attention. Most of his life has been spent indoors but he also enjoys going outside for short stints. Since I took DJ in, my other 9 year old male is not happy about it and in my apartment there is not much of a separation option. DJ would thrive in more active household (no kids or dogs please) where he can really settle in to his forever home.